Nylon bristles of medium firmness in this eco toothbrush with replaceable heads make them more environmentally friendly without negotiating on quality. 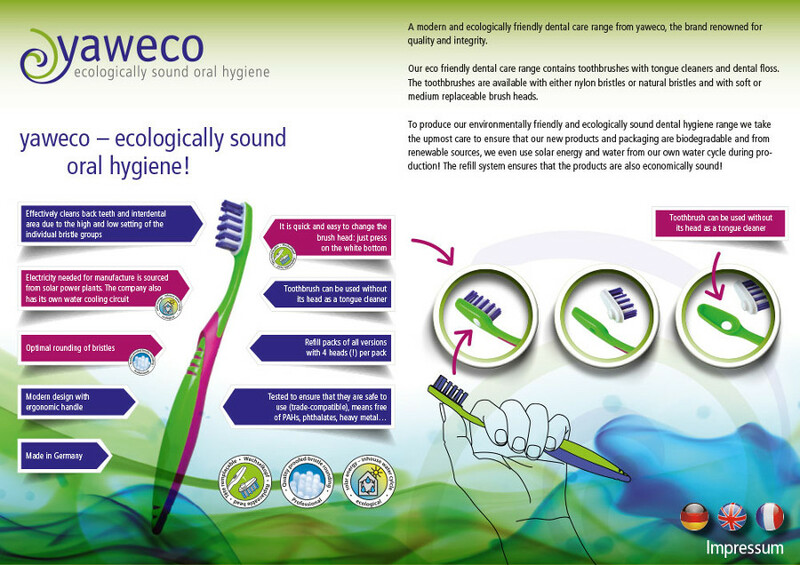 Yaweco create eco-friendly and modern vegan toothbrushes that have reusable handles and the head will need to be changed every 3 months, therefore reducing the amount of plastic that is thrown away. The low and high setting of bristles of the brush head effectively clean the back teeth and interdental areas. Simply press the white button at the back of the toothbrush to change the head every 3 months. Handle colours are assorted and will be allocated at random. 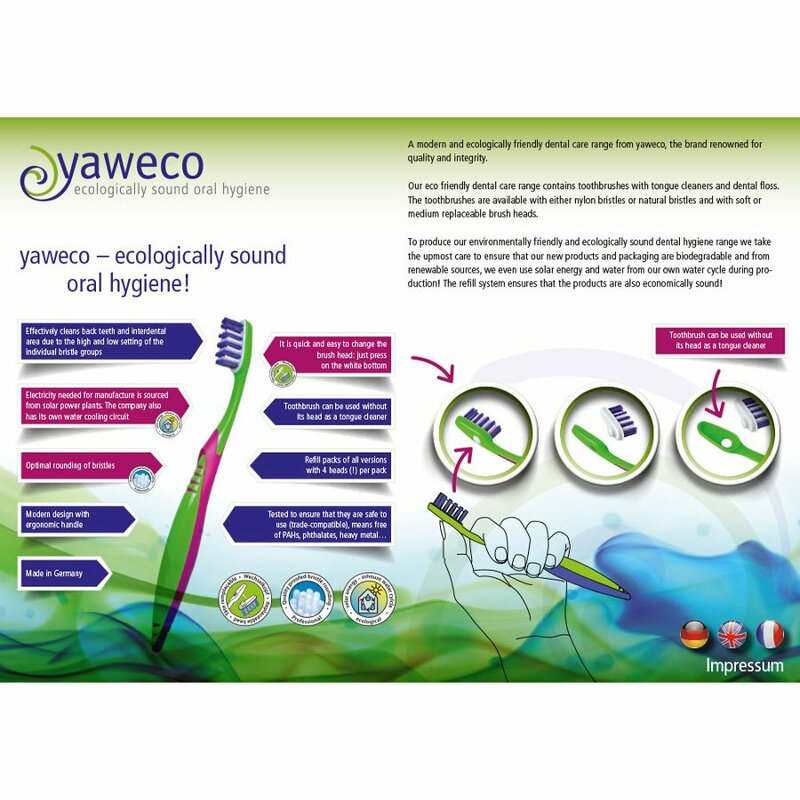 There are currently no questions to display about Yaweco Nylon Bristle Adult Toothbrush - Medium.